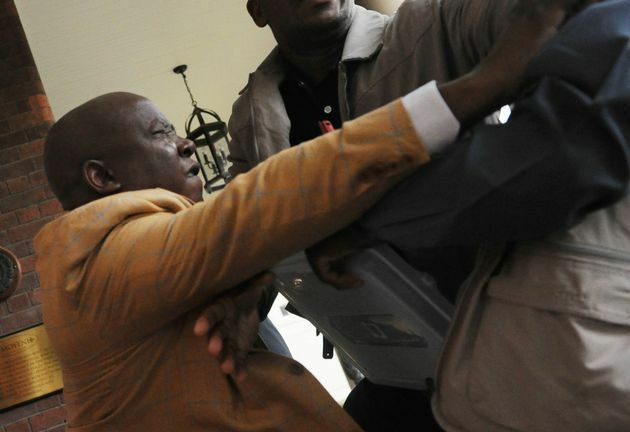 The controversial and clamorous EFF leader Julius Malema and a security officer had a scuffle in Parktown, Johannesburg, on Monday when opposition parties met Deputy President Cyril Ramaphosa. 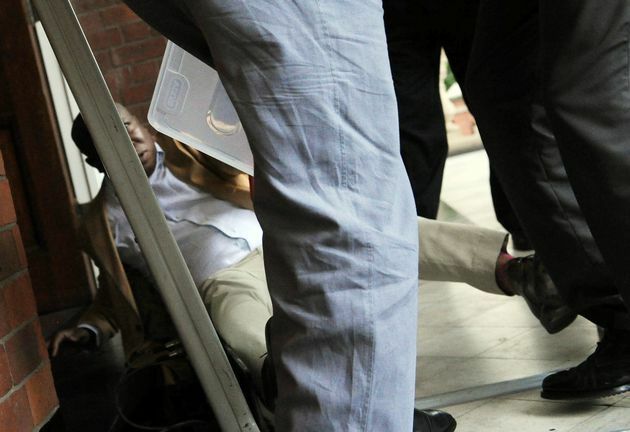 On arriving at the parliament, Malema refused to subject himself to a routine search when asked to be searched by the security at the post, which lead to the EFF leader scuffle. 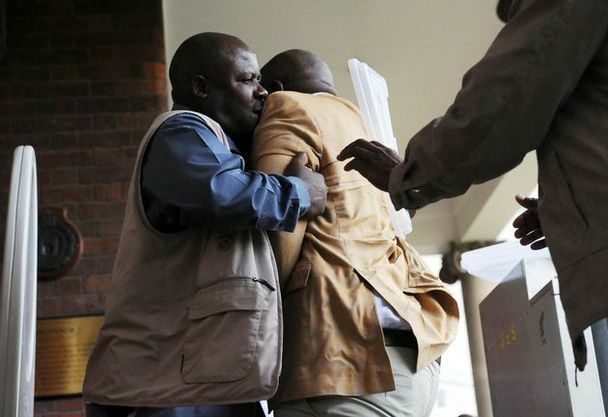 Allegedly, malema exchanged words with the security personnel and called the designated security individuals thugs. Shame, @Julius_S_Malema didn't last 1 round with a security guard today. Floored like a jelly baby. So much for calling himself a "fighter"